Star studded cast at #ROHring. Audience have travelled far for the occasion. I even spotted Anja Kempe in the audience. 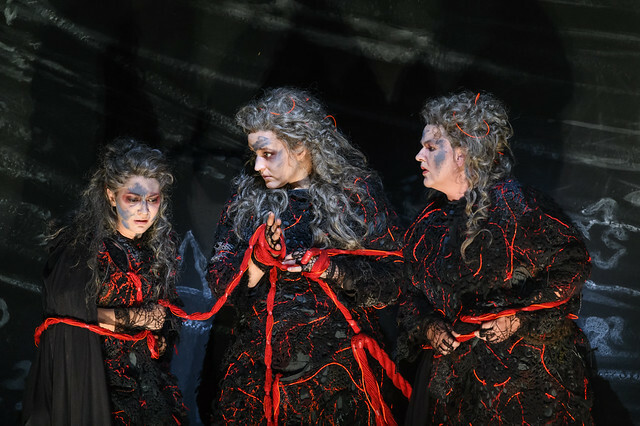 What did you think of the Ring Cycle? The Ring runs in four cycles until 2 November 2018. Tickets are sold out although returns may become available and a limited number of tickets will be released each week via Friday Rush. 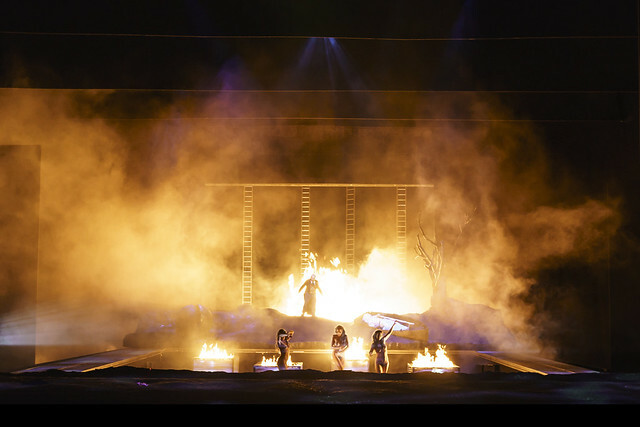 Die Walküre will be relayed live to cinemas on 28 October 2018. Find your nearest cinema and sign up to our mailing list. The production was originally made possible by The Dalriada Trust. The Position of Music Director Maestro Antonio Pappano is generously supported by Mrs Susan A. Olde OBE. It is staged with generous philanthropic support from Mrs Philip Kan, Mercedes T. Bass, Maggie Copus, Peter and Fiona Espenhahn, Mary Ellen Johnson and Richard Karl Goeltz, Malcolm Herring, The Metherell family, The Mikheev Charitable Trust, Lindsay and Sarah Tomlinson, the Ring Production Syndicate, the Wagner Circle, The Royal Opera House Endowment Fund, American Friends of Covent Garden and an anonymous donor. Stemme, Vinke and the ROH Orchestra were superb - the production is (still) irritating at times, but when the music is that good who cares? An absolute triumph. After a very fine "Rheingold" (October 2nd) ......albeit where I felt Pappano was in cruise-control.........not altogether surprising after completing the first cycle "Gotterdammerung" less than 24 hours earlier, ..... "Walkure" on October 4th was one of the great Wagner nights at the ROH..
Whatever misgivings one may have harboured about the production......and there weren't many....., the music swept all before it: singing, orchestral playing and,not least, interpretation. This is the third time I have seen this production and this was the best. Wonderful singing throughout. Stemme, Skelton and Cargill were absolutely thrilling. Maestro Pappano led a superb reading. A curate's egg of a Ring. Singing was first rate in some parts, rather less so in others. Wonderful Brunnhilde, Wotan and Siegmund (and Freia!). Rhine maidens and Valkyries also strong. Less so Loge, Fricke and Siegfried. And unfortunately a rather disappointing Sieglinde, Alberich, Mime and Fasolt. The real star here is of course Pappano, who can now lay claim to being great Wagnerian. He has a sure grasp of the overall architecture of each act and opera without losing sight of the details. His phrasing and shaping of individual musical moments is perfect. And he never lets the tension drop: he is constantly driving the musical argument forward. This is an outstanding achievement for him and his orchestra. As for the production, it's not by any means a disaster, but I don't think anyone will mourn its passing. It's messy and cluttered and in some places non-sensical (Why does Act II Sc. II of Walküre seem to take place in Valhalla? 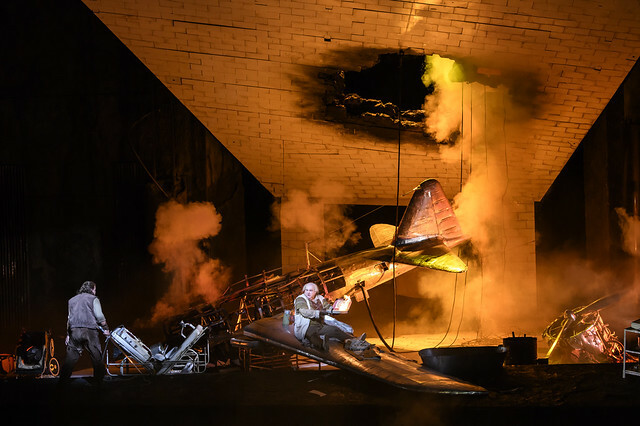 And what IS that crashed aeroplane in Siegfried supposed to signify?). Nor is there any overall concept that attempts to engage with what the Ring as a whole is actually about. Overall, this was worth hearing not just for Stemme but also for Lundgren and Skelton, who were for me a revelation. And I can't wait to hear more from Lise Davidsen. But overall this definitely felt like a third outing for a production that can now be safely retired. Wow! Still recovering from how wonderful Vinke and Stemme were, so powerful right to the end, can’t imagine them being sung better today. When does the next Ring production start, with Pappano staying on will that delay any future Ring planning ? This was a wonderful Ring, quite the best of this production, which I have followed from the start.. That was partly because of a very fine cast (particularly, but not only, the magnificent Nina Stemme) and Antonio Pappano's ever greater understanding and splendid pacing of the scores but also because of the highly intelligent direction of the cast and their enunciation and understanding of, and response, to the text. Just a shame that, apparently, these wonderful performances ae not to be recorded on DVD for posterity. After the end of Gotterdammerung I and my friends (two of whom were experiencing their first Rings) just wanted to start all over again. Even the dafter elements of the production couldn't spoil the cycle. The whole cast were excellent, Stemme and Vinke just superb. I found the complexities of the story easier to follow; could be greater familiarity with the story, or maybe down to the interpretation of the roles. And how good to see the excellent and hard working orchestra on stage at the end! My comments about the production are in no way aimed at the technical teams of lighting and stage management staff, who deserve full marks for making sure that such a complex production ran so (apparently) smoothly. This was the fourth Ring I have seen, and it was the best. It was very strongly cast (Nina Stemme above all, but Stefan Vinke also excellent). The orchestra played superbly under Pappano. The production is annoying at times (a few too many ideas?) but the key moments mostly came off well. My first Ring and I'm just sad that it's all over. 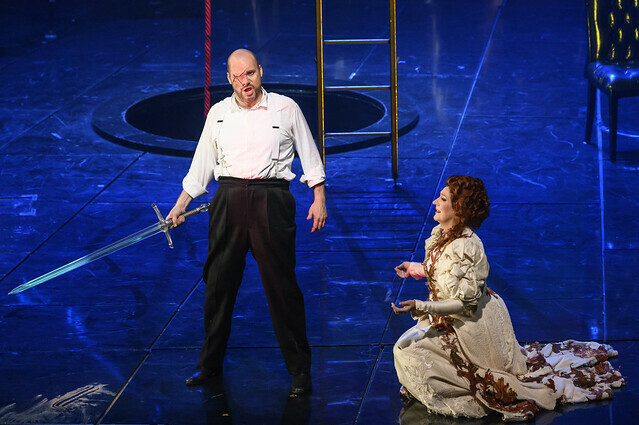 It was a privilege to hear Nina Stemme's magnificent Brünnhilde and the rest of the cast were superb, although Stephen Milling's Hagen stood out in particular. The orchestra were in wonderful form throughout and the whole thing was an overwhelming experience. I have the same reservations about the production as other commentators but Wagner's music and Stemme's voice were what mattered most in the end.